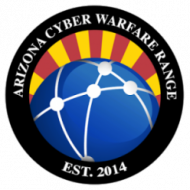 We need your support to ensure the future of the Cyber Warfare Range and its continued success. We receive no contributions from the US government. We are a private 501c3 non-profit. Members receive discounts and priority access to our events, conferences, workshops, and boot camps. For companies that are above 25 employees or 5 million in annual revenue. For companies smaller than our standard corporate membership. Personal use only. Remain in the know. For registered non-profits that are smaller than our standard corporate membership. Includes 1 user account. Qualified non-profits only. Please note that prices are subject to change at any time. Memberships are not tax deductible. Scholarships are available for discounts on our memberships. For more details on our scholarships please contact us. If you would like to learn more about our memberships and the many valuable services they unlock, please contact us. We are an entity listed with the ISAO Standards Orgaization.View our listing.